Las Vegas, as usual has been chilly one day and the next it'll be in the high 60's (I'm not complaining - haha. I know some of you are freezing your little buns off with much colder weather). 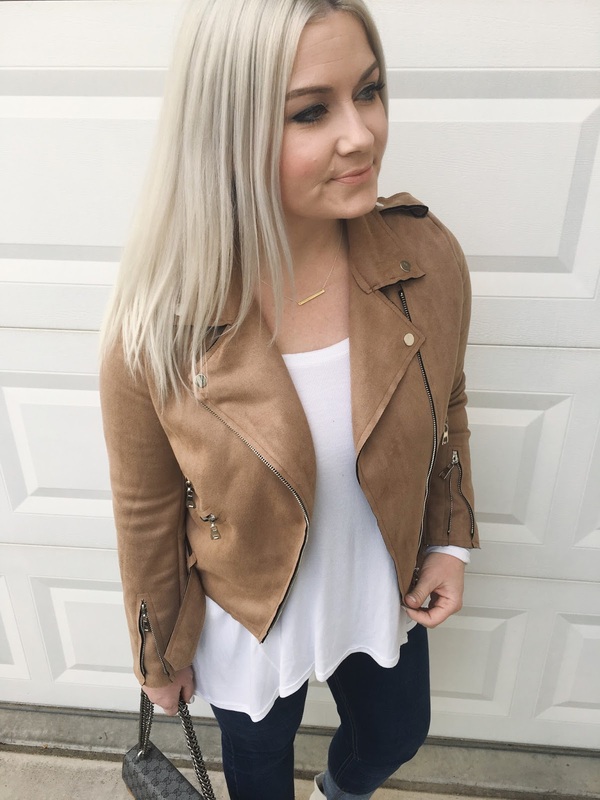 I got this faux suede zip up biker jacket over the weekend, and it's perfect for those days I don't need to be super bundled. 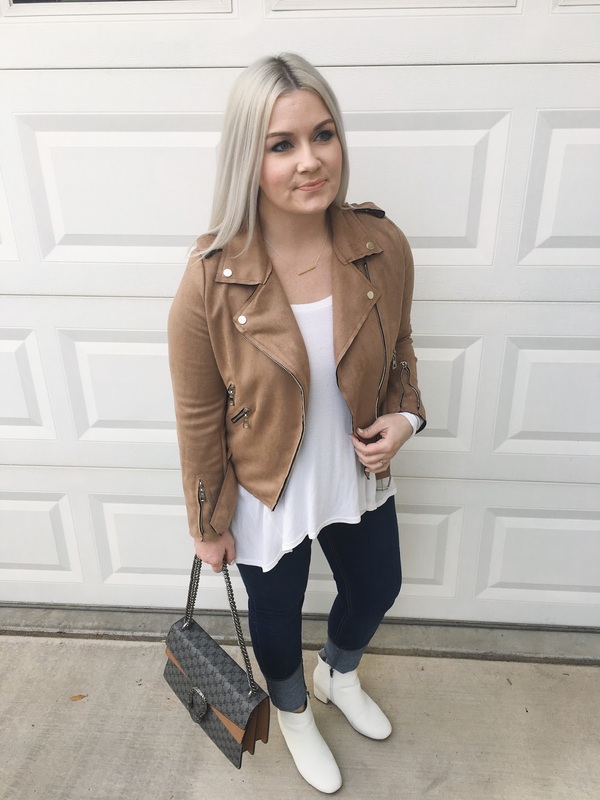 If you remember my Favorite Biker Jackets under $50 blog post, you'll recognize this jacket. The color is called, "Apricot," and looks very light online, but the true color is more of a tan/light camel shade. 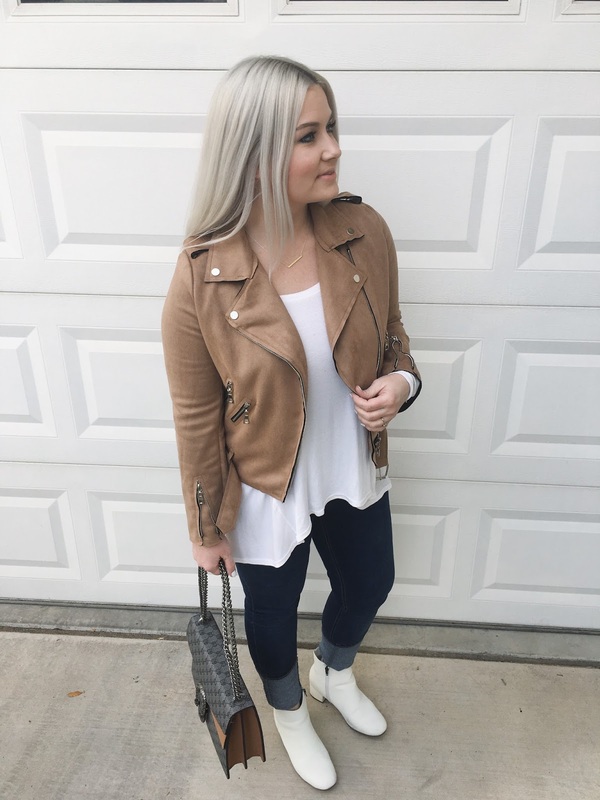 This is my first neutral biker jacket, so I'm excited to be able to wear it more often with more things in my closet. I paired it with my favorite flowy long sleeve tee, that comes in several colors. Both the jacket and tee will transition nicely into Spring. 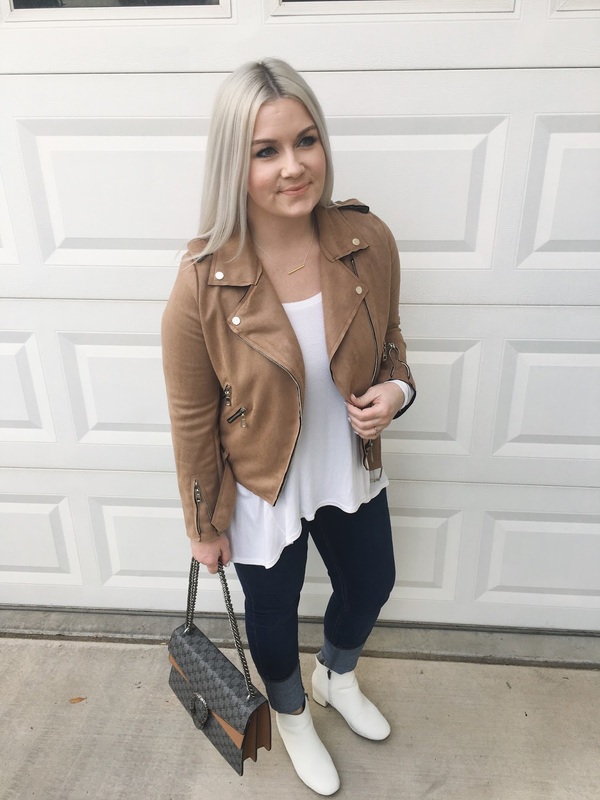 I am a sucker for all jackets, especially when it comes to cute leather/suede ones. I love the color of this jacket. It seems like it would be so versatile! Yes, so versatile. I love the color & fit! This jacket looks amazing on you. I hope they still have my size. Love your outfit! Thank you. They still have so many sizes. I love the pink too! Thank you! Same here. Vegas weather is always hot one day and cold the next in the Winter. Your outfit is so beautiful, and that jacket is everything. Would be perfect for spring season here in Canada.